Greg Presto is a sports and fitness journalist and certified personal trainer in Washington, DC. He believes fitness should be an adventure, whether it's on the side of a snowy mountain, trying out a new program in your gym, or even breaking a sweat in your living room. Reach him with workout or story ideas at gregpresto (at) gmail (dot) com. When it comes to fat loss, slow and steady loses the race. 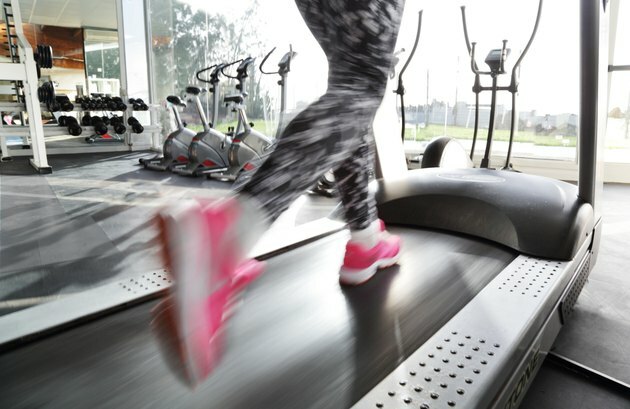 "According to American research published in the journal 'Obesity,' men and women who did 300 hours of cardio over the course of a year lost an average of only 5 pounds," Craig Ballantyne, owner of TurbulenceTraining.com, said. "That's 60 hours of cardio to lose one pound!" More intense training -- in shorter bursts -- burns calories more quickly and burns more fat overall. And unlike long, slow cardio sessions, intense training keeps you melting fat even after your workout is over, says Martin Rooney, director of the Parisi Speed School and author of "Ultimate Warrior Workouts." It's not all about adding exercise, though. For fat loss, the two best exercises to eliminate from your routine, says Ballantyne, are "the fork to mouth and the 12-ounce curl." "You can't out-train a bad diet," said David Jack, director of Teamworks Fitness, in Acton, Massachusetts. "If you're training and then eating an extra 400 calories of garbage, that's what your workout burns. It's senseless." You've been warned. Put down the tortilla chips, and try these five high-intensity training strategies to torch fat fast. Men and women who did 300 hours of cardio over the course of a year lost an average of only five pounds. Interval training -- bouts of high-intensity exercise alternated with short rest periods -- not only burns more calories than traditional cardio training, but also boosts your body's ability to fry fat through hormone production. "[With intervals], you have a greater increase in growth hormone -- a fat-burning hormone -- and adrenaline, another fat-burning hormone that also helps suppress appetite," said Ballantyne. Not only are interval workouts shorter than traditional cardio training, but they also make you fitter in fewer sessions, he adds. "There are two ways to increase cardiovascular fitness -- by increasing the delivery of oxygen to the heart and lungs or by increasing the utilization of oxygen at the muscle level," Ballantyne explained. Steady-state works by increasing the oxygen delivery to your heart and lungs. Intervals, however, work on your muscles, helping them use oxygen more efficiently so your heart doesn't have to pump as much to make them perform. Start with a regular warmup. When you've finished that, pedal or run at a rate that's 20 percent harder than your normal cardio intensity. After 30 to 60 seconds, bring the intensity down to a rate that's half the intensity of a normal cardio workout. "This is important," Ballantyne said. "If you don't take it down to 'easy' during the recovery, you're not doing anything different from a regular cardio workout, and you won't be able to work hard during the interval portion. You want two extremes: hard and easy." Alternate periods of 30 to 60 seconds of hard work with 30 to 60 seconds of easy pedaling (or easy running) for six to 10 intervals to complete your session. As this gets easier, increase the intensity of each interval, work longer during the hard portion, shorten your rest periods or add more intervals. Repeat three or four times per week. If you haven't sprinted since a coach was blasting a whistle in your ear, you're missing out on a natural but extreme form of interval training that can pay dividends for more than just your legs. "Sprinters don't just have great-looking glutes. They have tremendous arms and shoulders, too," said Nick Tumminello, director of Performance University. "You can't get more of a natural, total-body exercise." A quick caveat, though: If you're not used to bursts like these, Tumminello says, it's easy to pull a hamstring, halting your training -- and your results. He suggests following these tips to start safely. Sprint on a hill. The impact on your joints is lower, Tumminello says, which can help you avoid injury. "The ground basically hits your leg earlier, which forces you to open up your hips a little more," he said. "And you can't go as fast, so you're less likely to pull a muscle while still getting a high-intensity workout." Live in a flat area with no hills? Instead of the drag race approach, begin your sprints by speeding up from a jog. "Most hamstring pulls start on the initial explosion," Tumminello said, but adds that shifting through your gears can keep your legs safe. At a local track, jog the curve, then sprint 10 to 20 yards of the straightaway. Continue interval sprinting in this way. To maximize benefit and lower injury risk, keep your sprints on the shorter side -- no more than 50 yards per sprint. This will help you maintain a high intensity throughout, says Tumminello, and prevent your form from breaking down, which can lead to injury. To increase the overall results of your sprint workout, increase the number of sprints instead of going for long distances. When you're starting out, perform a sprint workout just once per week -- you'll be surprised at how sore the workout makes you, even in the abdominals. Once you're used to the stimulus, Tumminello suggests bumping it up to only two sessions per week, mixed with other gym workouts. Allow at least two days of recovery between sprint workouts. You don't have to run, bike or perform any traditional cardio exercise to get high-intensity, fat-burning training. By pairing strength exercises that work opposing muscles, you can build muscle while keeping your heart rate high, maximizing fat loss. "For example, I can run over and do a dumbbell reverse lunge, and then I'm going to do a pull-up," said Jack. 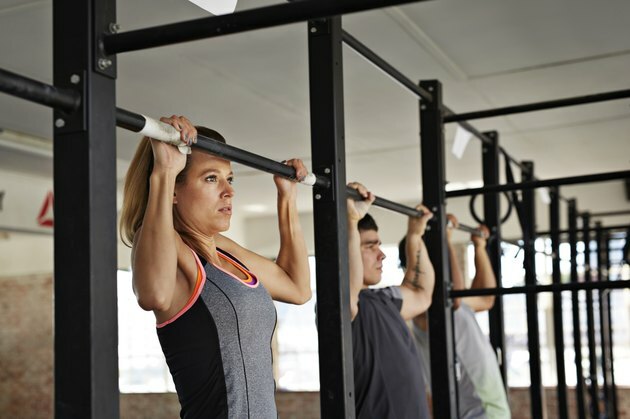 During the lunges, the arms and back rest, while the legs rest during the pull-ups. Jack uses such exercise pairings to do escalating density training, an interval protocol with a built-in challenge. "The basic concept is that you're trying to do more work in the same amount of time," he said. To try this challenge: Choose two exercises that use opposite movements or work completely different muscles -- pair a pushing exercise with a pulling exercise or a lower body move with an upper body move. As an example, consider a dumbbell bench press and an inverted row. For each exercise, choose a weight with which you can perform 10 reps. Alternate between the exercises, performing just five reps of each move, with the 10-rep weight, in each set. Rest as needed between sets and pairs so that you can complete each set of five without failing. "Your conditioning and strength-endurance will dictate your recovery time," Jack said. As with cardio intervals, strength intervals like these won't work if your reps aren't high-intensity. "The 'off' bout needs to be long enough that the 'on' bout is effective," Jack explained. Continue alternating between the exercises for a set time -- 10 or 15 minutes, for example -- keeping track of how many total sets you can do. In following sessions, try to beat your score by finishing more sets in that time or by finishing the same number of sets but with tougher weights. Density training sessions are great to add to the end of a traditional strength training workout, Jack says. For a complete density training workout, he suggests performing multiple time blocks in the same session, using new exercise pairings for each. 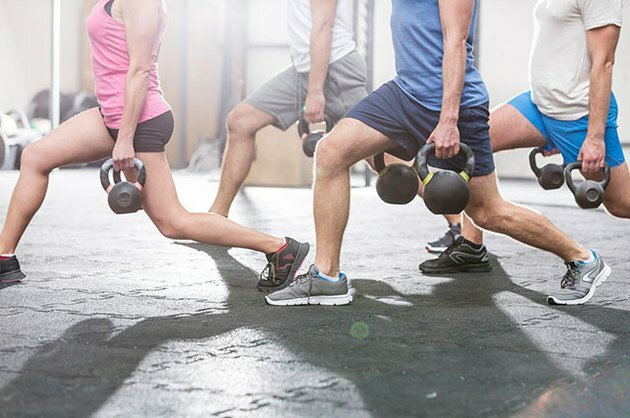 Other pairs he recommends include a goblet squat with a single-arm dumbbell row, a reverse lunge with pushups or pulldowns, deadlifts with dumbbell overhead presses or split squats with a rowing exercise. 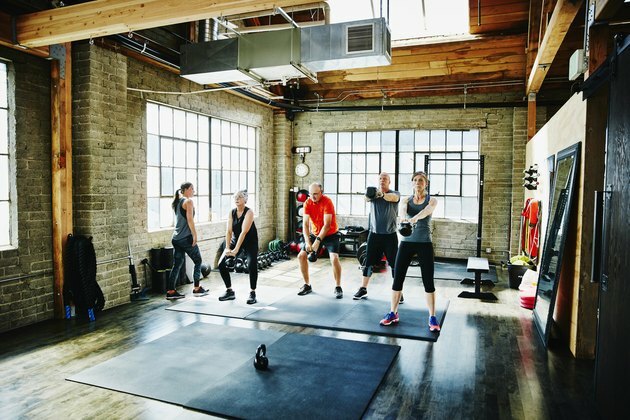 Countdown workouts also use exercise pairs and are a motivating way to finish a workout, says Mike Wunsch, performance director at Results Fitness in Santa Clarita, California. "They keep you engaged in what you're doing -- you have to keep the count and pay attention," he said. With each round of the exercise pair, the workout involves one fewer rep of each move -- moving from sets of six to five to four, and so forth, until the count reaches zero. That finish-line mentality can keep you going. As with density training, Wunsch recommends pairing opposing exercises for countdowns, but also suggests picking moves that have a rhythm. Moves like the kettlebell swing, squat thrusts and pushups work well. Wunsch says stress-busting med ball slams and throws can add to the fun. "I stay away from lunging and other knee-dominant moves, though," Wunsch said. Moves like these, he explains, can result in injury if your form falters while performing exercises at a fast pace. For the same reason, he also advises avoiding overhead-pressing moves like dumbbell thrusters. To try your own countdown, choose a pair of exercises from Wunsch's following list. Start by performing six reps of the first exercise, then six of the other move. Return to the first exercise and perform five reps, then do five reps of the second exercise. Continue alternating in this way until you reach zero. In each workout after that, add one rep to every exercise, Wunsch says. If one countdown isn't enough, choose a second pair from the list of exercises or create your own pair of opposing moves. "Cardiovascular training is archaic," Rooney said. "It not only takes a long time, it's boring." To combat boredom and train faster and harder, Rooney designed a workout protocol around that's kept him lean: lifting weights and interval training. He calls this workout "the hurricane." "The easiest way to explain a hurricane workout is that it's brief but intense," he said. Each hurricane is broken into three groups of three exercises, called rounds. "Each round is composed of an exercise that gets your heart rate up, and then other exercises in between," he said. This design allows users to build muscle and keep their heart rates up throughout the workout, which usually lasts between 16 and 22 minutes. Like the storm after which they're named, hurricane workouts are categorized into five levels, each one an increased challenge. If you're new to intense training, Rooney suggests starting with Category 1. Details on these workouts, including exercise descriptions, can be found on Rooney's website. Begin by warming up for the workout, then move to round 1. For all rounds in this workout, perform 1 set of each exercise, then move to the next exercise. Complete the entire round three times before moving to the next round. Round 1: Run on a treadmill at 10.5 mph and a 10 percent incline for 25 seconds. Perform a kettlebell Turkish getup four times on each side of the body. and 10 chinups. Repeat this sequence three times. Round 2: Run on a treadmill at 11 mph and a 10 percent incline for 25 seconds. Perform 10 dips and 15 reps of the barbell rollout. Repeat this sequence three times. 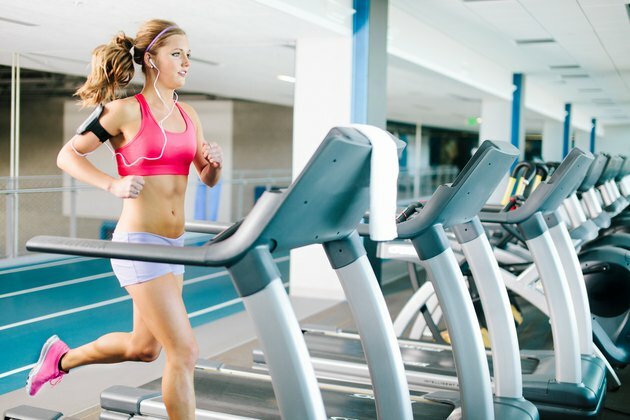 Round 3: Run on a treadmill at 11.5 mph and a 10 percent incline for 25 seconds. Next perform 10 reps of the G.I. row. Then perform 20 reps of the knee grab. Repeat this sequence three times. "A young guy might be able to achieve fat loss without changing [his] diet, but in most cases, even the best workout can't overcome a lousy diet," said Craig Ballantyne of TurbulenceTraining.com. While interval training is one of the most efficient ways to burn calories and fat, it's still tough to lose that pound with exercise alone. To understand why, take a look at this calorie expenditure equation for men from the "Journal of Sports Sciences": Calories = [(0.2017 x Age) + (0.6309 x Heart Rate) - (0.09036 x Weight) - 55.0969] x Time / 4.184. Using that formula, a 29-year-old man weighing 180 lb., performing interval training for 20 minutes with an average heart rate of 150, will burn only 139 calories. Now imagine the same man eats a delivered pepperoni pizza that night -- though certainly an odd choice for an exerciser looking to melt fat -- with each slice coming in at 300 calories. If he chooses to eat four slices instead of three, he'll probably finish the extra slice in about 45 seconds. To work that off, he'd have to perform intervals at the same pace for almost 45 minutes. Note: Women can calculate a similar scenario using the following equation: Calories = [(0.074 x Age) + (0.4472 x Heart Rate) - (0.05741 x Weight) - 20.4022] x Time / 4.184. Is it Better to Do Drop Sets When Building Muscle?